The IDB with its Climate Change Strategy (2011) has taken a proactive approach to financing climate change mitigation and adaptation, including the promotion of renewable energy. 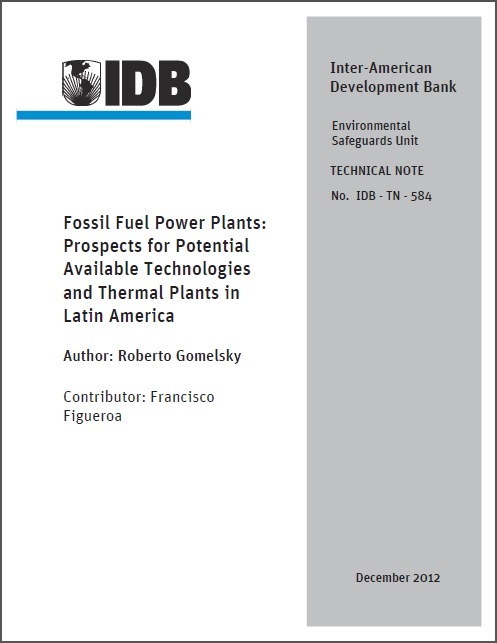 The expectation is that, by 2015, the share of low-carbon sources in all power generation capacity funded by the IDB will be 93% of the total generation capacity. A key component of the IDB’s “Analytical Framework for Climate Change Action,” which forms the basis of the Climate Change Strategy, is the commitment that the IDB adopt sector-specific principles to ensure that Bank-funded projects take into account the technological options and management practices currently available to guarantee adequate consideration of climate change impacts and the adoption of mitigation measures in relevant sectors. The Bank will continue to finance fossil-fuel-fired thermal plants but will be more selective regarding the type of technology used in projects proposed for funding in order to balance the environmental and economic benefits derived from the projects and impose more stringent Greenhouse Gas (GHG) Emissions Performance Standards (EPS) on funded projects. The Bank has first adopted a GHG emission guideline for coal-fired power plants1 and with reference to this also a GHG emission guideline for other fossil-fuel power plants.